We are open 8:30am to 5:00pm Monday to Friday and closed public holidays. Based on reviews we are proud to be No 1 on TradeMe. 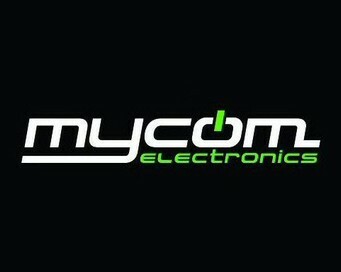 Mycom Electronics (2014) Ltd primarily cater to corporates & schools, for more information please don't hesitate to give us a call. Great service. Good people. I will definitely use them again. We referred a logic board to MyCom for water damage. Quick turnaround and rather competitive prices for soldering based work in NZ. Cheers. Great job, thanks guys. iPhone done in 1 hour. iPhone screen replaced in 1/2 an hour and I was given a loan phone while I waited to catch up on some calls. Top service, thanks chaps. Went in for a change of battery, which it did not got replaced as told and requested, and ended billed two more times for unrelated issues on my iphone which were simply a lie when I took it to another repair place for a second opinion. In other words, these guys are completely dishonest and unprofessional. I would not recommend them at all. Try someone else. Very quick service. Fully recommend to everyone. Great service professional with no issues A1+++ recommend to everyone. Very prompt efficient and friendly service. Dropped I pad in on the Thursday and was ready Friday morning. Recommended*****. Good repair job on my iphone 5S. They have a professional attitude when they deal with clients, which is refreshing, with helpful advice. Took a week to fix but I could have paid more to get a quicker turn-around as explained on drop off. I will be using them again. Brilliant job, promptly tested our ipad - nothing wrong as they worked out we were using an iPhone charger (wattage too low!). No charge! Fabulous service. Highly recommended. Always come back and recommend to all friends and family. Just been to pick up my phone and had awesome service from the team at Mycom. Very quick turnaround (24 hours) and great value . Will be back !! Absolutely fabulous service. Totally agree with why they are no.1, would definitely recommend Mycom to anyone needing iphone/ipod or iPad repairs.....awesome!! Totally annoyed with these guys, they promised a two day turnaround, just got back to other side of town and they rang and said "your iPad is ready" Had to turn around and go back!!!! Brilliant overly fast service!! Brilliant. Samsung Note 1 played up on me and I was expecting important calls via a sick rellie. A quick look and the trouble was found to be the battery was past its useful life. So grateful for Service Supreme and I will recommend these people to everyone I know, and that is a lot of people. Thanks guys for your good humour and quick service.